The Search for Extra-Terrestrial Intelligence (SETI) has so far been unsuccessful and needs additional methods. We introduce a two-dimensional metric for civilization development, using the Kardashev scale of energy increase and the Barrow scale of inward manipulation. To support Barrow's scale limit, we contend with energetic, societal, scientific, computational, and philosophical arguments that black holes are attractors for intelligence. An application of the two-dimensional metric leads to a simple, consistent and observable hypothesis to test the existence of very advanced civilizations. We suggest that some already observed X-Ray binaries may be unnoticed advanced civilizations, of type KII-B Ω. The appendix provides an argumentative map of the paper's main thesis. 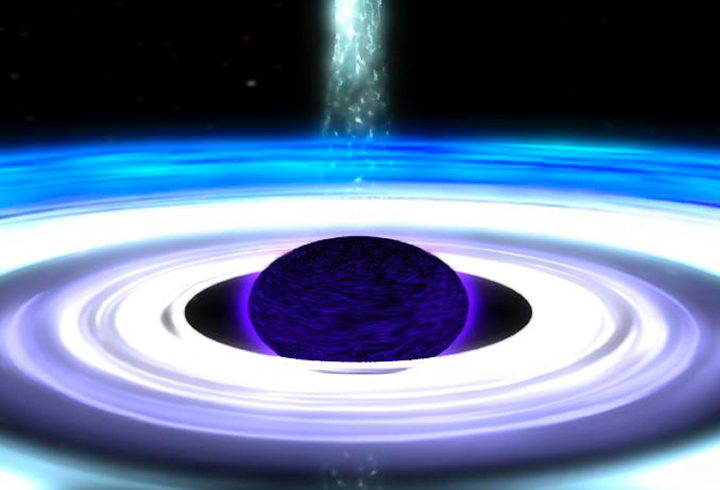 Civilizations may try to live forever by exploiting the time-dilation effects near a black hole to hibernate and survive into the very far-future universe. Something like this is wonderfully described in Isaac Asimov's short story "The Last Question." A hyper-computer called the Cosmic AC reboots the universe after our cosmos has fully entropied. After mulling over the darkness, the multidimensional machine says: "Let there be light!" Ultimately, a super-civilization may attempt to artificially create a universe in the laboratory via black hole fabrication. This far-out notion of artificial cosmogenesis might explain why the many constants in our universe are so precisely tuned for our existence. For example dark energy -- a repulsive form of gravity -- is a whopping 123 orders of magnitude weaker than what would have been predicted from quantum physics. This could not have happened by coincidence unless there is an infinity of parallel universes with their own different dark energy values, speculate some astrophysicists. Or instead, dark energy is a signal of –- dare I say -- intelligent design. I’m not implying spiritual metaphysics here, but perhaps our universe might simply be a science fair project of an entity from an exo-universe. Always happy to see alternative approaches to SETI. Whenever anyone tells you that "the universe is precisely tuned for our existence," you should be very very skeptical. This is a perfect example of selection bias. If we exist, then it is obvious that the universe is suitable for our existence, and one could figure that out without knowing a damn thing about astronomy. Even if Big Bangs happen all the time, each with variations on the constants, then only universes with variations suitable for life will ever have anyone who is curious enough to wonder about such things. This train of thought gets a little more wild if you agree with the Self-Indication Assumption because of the Doomsday Argument, but Nick Bostrom has tried hard to refute it.